Huai Kha Khaeng has an area of 3,609,375 rai or 5,775 square kilometres, covering an area of 6 districts of 3 provinces: Amphoe Ban Rai, Amphoe Lan Sak, and Amphoe Huai Khot in Uthaithani; Amphoe Sangkhla Buri and Amphoe Thong Pha Phum in Kanchanaburi; and Amphoe Umphang in Tak. 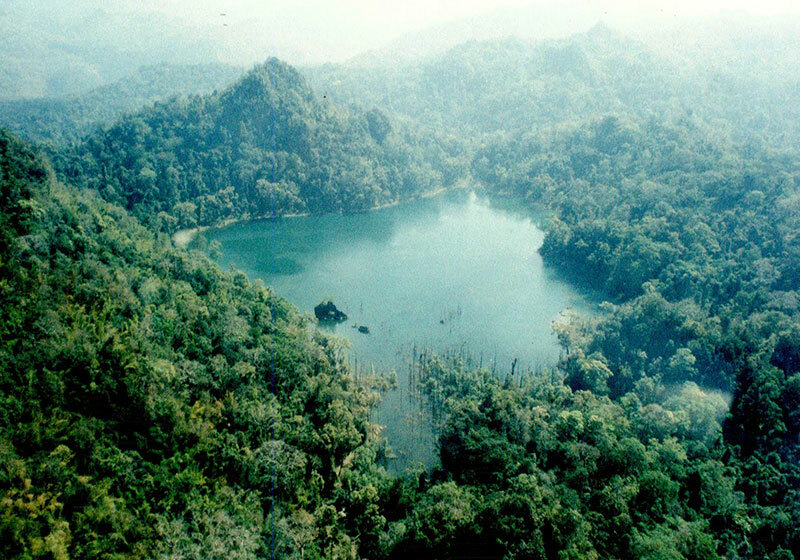 It also includes the area of Thung Yai Naresuan Wildlife Sanctuary, so this is the largest connected conserved forest in Thailand and the South East Asia Region. Short Description: Thung Yai Naresuan – Huai Kha Khaeng Wildlife Sanctuary has only grown in fame since it was registered as a World Heritage Site by UNESCO in December 1991. Huai Kha Khaeng covers 5,775 square kilometers, engulfing six Amphoes in three provinces. It also comprises of Thung Yai Naresuan Wildlife Sanctuary, making it the largest connected conserved forest in Thailand and the South East Asia Region.